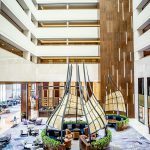 Located in the new central business district of West Hanoi and only 5-minutes drive from the National Convention Centre, InterContinental Hanoi Landmark72 is the tallest hotel in Vietnam. 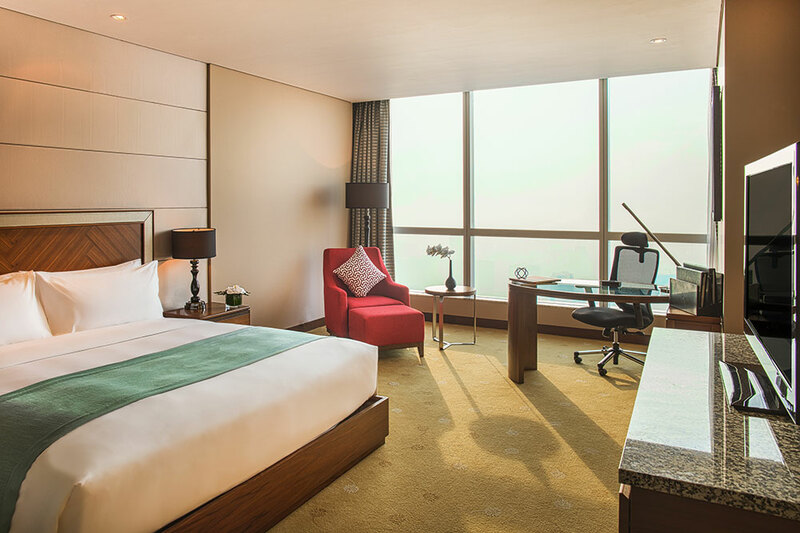 The hotel features 359 luxury guest rooms all with panoramic views of Hanoi. 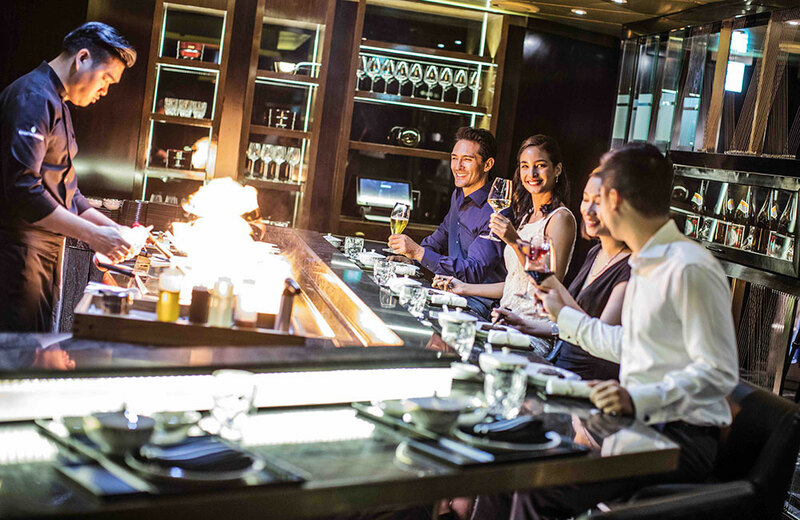 Our vibrant restaurants and bars, including a steakhouse and a stylish bar, are the perfect place to relax or entertain while enjoying unique views from 346 meters above the city. 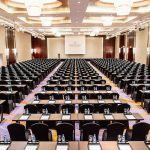 With 2861sqm of meeting space, including a pillar-less Grand Ballroom and state-of-the-art audio visual technology, we will bring your next event to life. 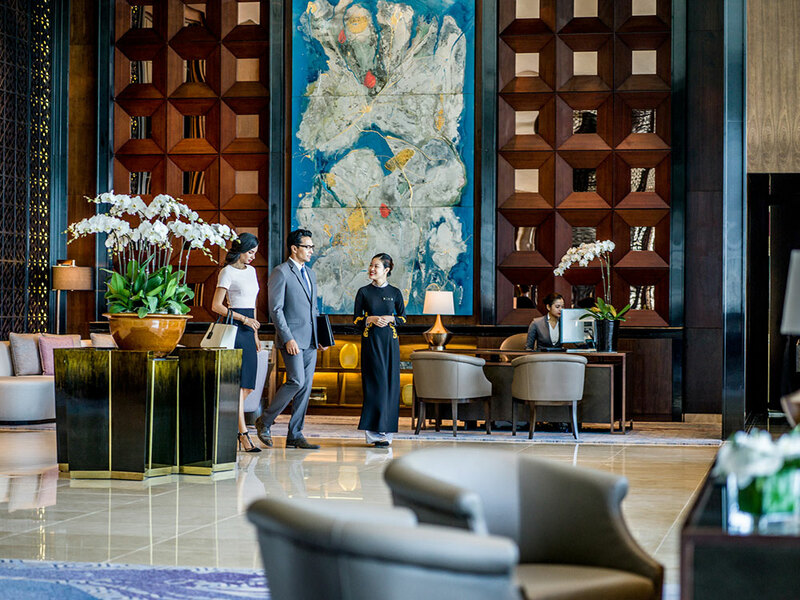 At InterContinental Hanoi Landmark72, we understand that travel is about seeking new experiences and connecting with a destination. Hanoi’s wealth of culture, rich heritage, colonial architecture and art have helped secure this great city’s position as one of the world’s top destinations. From the ancient Hoan Kiem Lake to the vibrant Old Quarter, the expansive and romantic West Lake, the capital is brimming with diversity that offers a new experience with each visit. 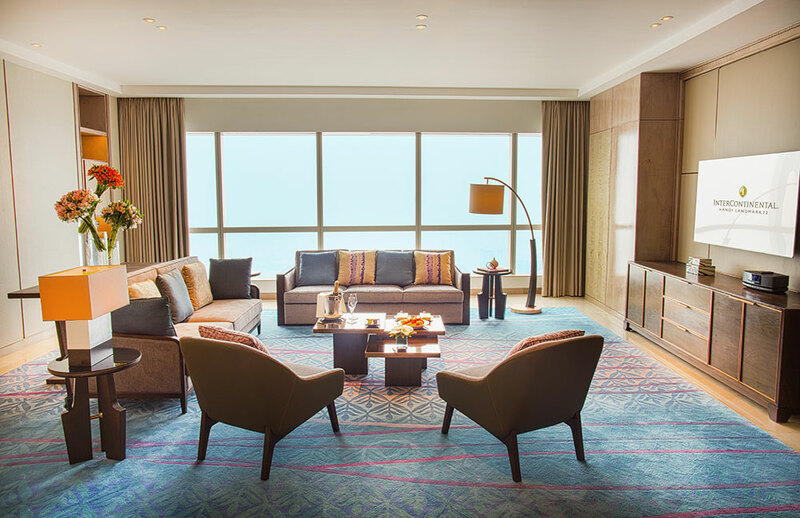 Our dedicated Concierge team will take care of your needs and will ensure that your visit is an enjoyable and memorable one. 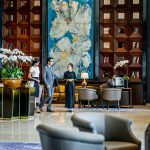 Let us share with you our wealth of knowledge about the hidden treasures that Hanoi has to offer, and we believe you will love this amazing city as much as we do. Nearby attractions include Museum of Ethnology, Hanoi Museum, Van Phuc Silk Village, Duong Lam Ancient Village, Ba Vi National Park and other ecological tourism sites. 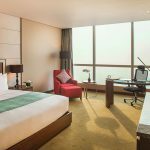 All 359 rooms feature floor-to-ceiling windows with unparalleled views over the skyline of Hanoi, and deliver a true sleeping sanctuary, separating guests from the city’s hustle and bustle with soundproofing, blackout shades and premium bedding. 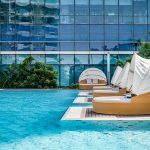 Further enhancing the coveted InterContinental room experience are deep-soaking bathtubs with a separate walk-in rain shower, brand-defining bathroom amenities, personalised coffee station and refreshments centre and ergonomic working environment. 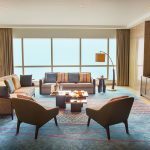 Relax and enjoy exclusive privileges in this private haven of luxury, reserved for guests booking a Club InterContinental room or above. 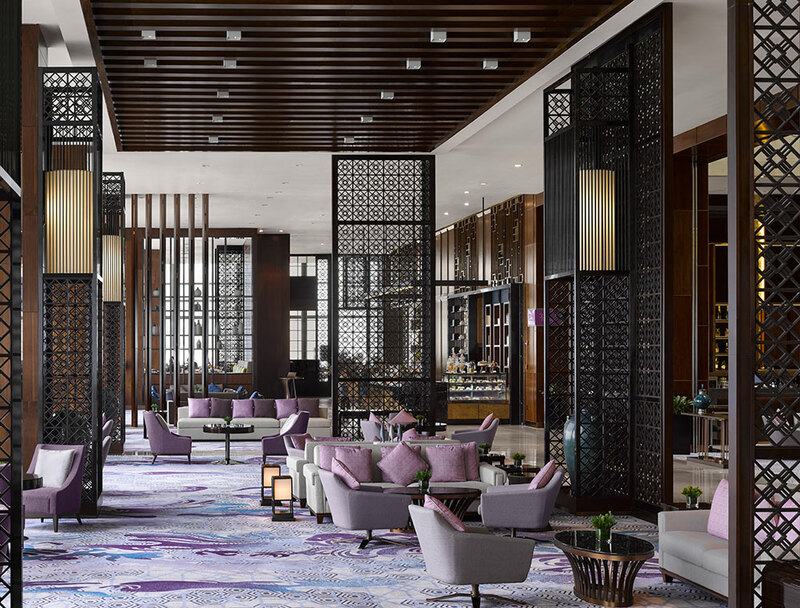 One of the largest Club lnterContinental Lounges in South East Asia, this stylish lounge located on the topmost floor of the hotel, offers spectacular views of Hanoi’s skyline and is the perfect place for exclusive social or business meetings. Our dedicated Club lnterContinental team will also be available to provide guests with a large selection of locally inspired activities and entertainment options. 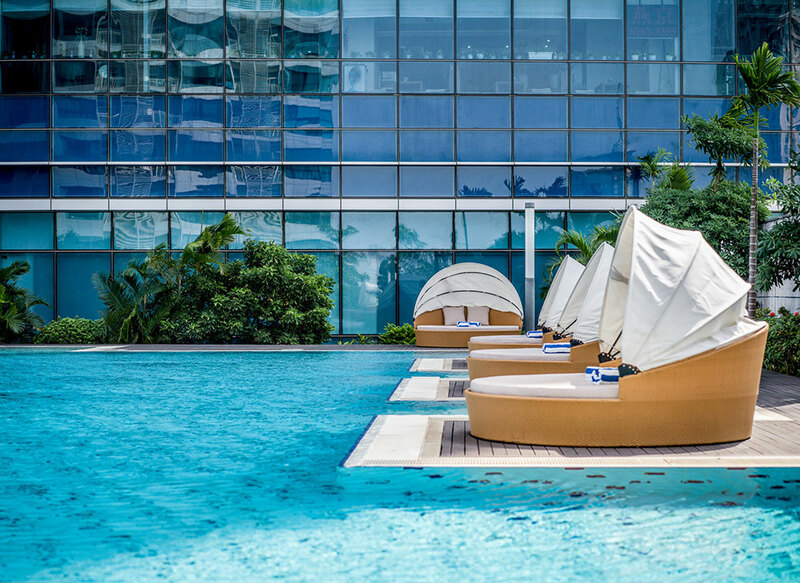 Treat yourself to an array of exclusive dining options filled with carefully crafted experiences to indulge you. 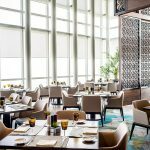 The culinary journey includes delights such as a gourmet breakfast selection, artisan cakes, afternoon tea, “hand-picked” wine selection and a wide range of refined dishes. 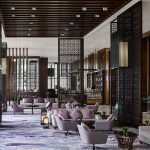 Our signature bars and restaurants bring you a sumptuous selection complimented with personalised service that inspires memorable moments and a yearning to return. 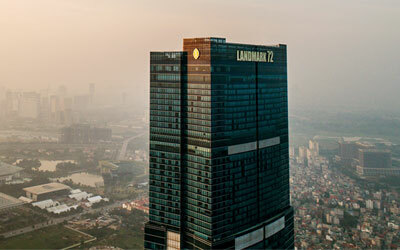 InterContinental Hanoi Landmark72 is the most prominent destination for business meetings and events in the city. 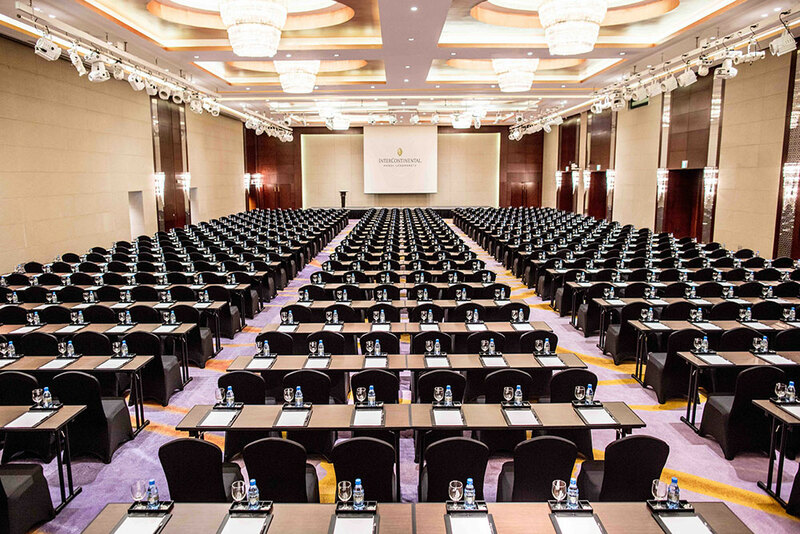 Our meeting rooms range from 80sqm and 960sqm in size, featuring one of the most advanced audio-visual equipment in the city of Hanoi. The pillar-less Grand Ballroom is perfect for themed dinners, gala events, and elegant weddings for up to 1,000 people, while our 8 other function rooms’ capacity range from 40 to 300 people in banquet style. All meeting rooms are located on the same floor. We will also share our local knowledge and culturally enriching experiences that help bring your events to life and offer your delegates a truly unique opportunity to discover the destination. Bringing the best of three culinary worlds together, this open kitchen concept elevates your dining experience to new heights. 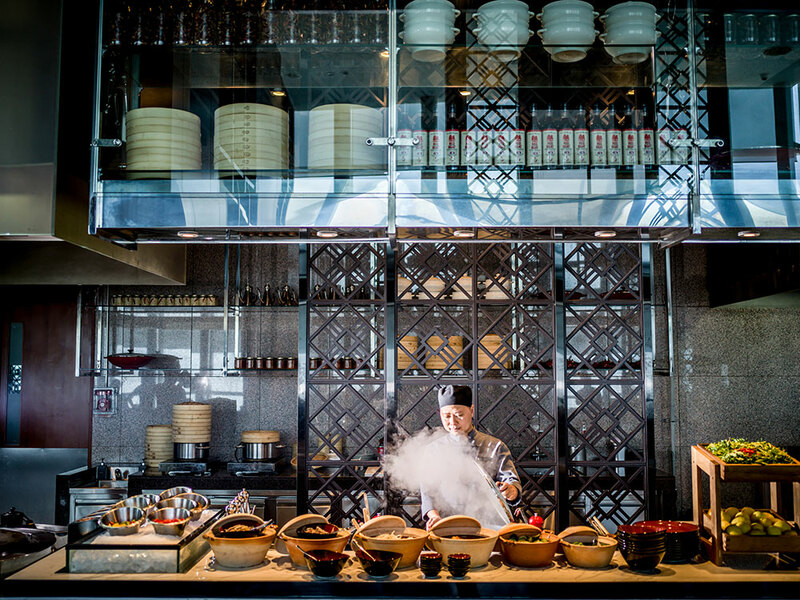 Savour Vietnam’s best hand-picked daily seafood selection with sushi and sashimi. 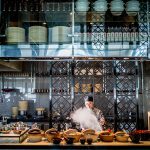 Explore authentic local and Chinese dishes and witness the skills mastered to prepare them by our engaging kitchen brigade. Surround yourself in our signature room filled with a collection of charcuterie, cheeses and artisan breads or relish in stone oven baked pizzas and delightful pastas. Deriving its name from the Latin word “Stellar”, meaning star, this steakhouse sets out to deliver extraordinary high standards. 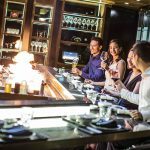 The stylish decor forms the stage for a diverse range of occurrences like a la carte dining, a whisky and sake bar, cheese and wine room, Teppanyaki and private dining venues. The quality of Stellar shines through its impeccable choice of quality products, like home dry-aged beef, fresh seafood and seasonal products, all complimented with dedicated service to create singular experiences. Open daily from 18:00 to 22:00 for dinner. Bar opens from 17:00 to 0l:00. Be seen at the newest style icon in town. 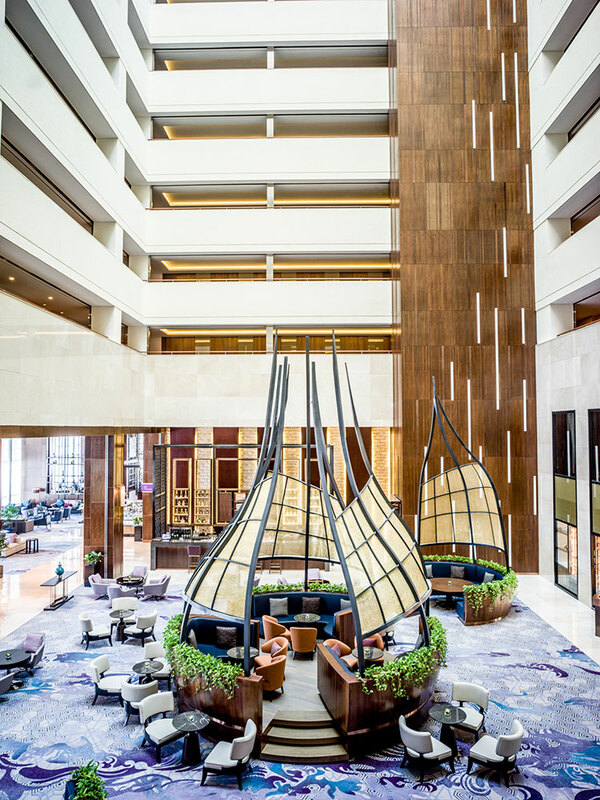 Where an uplifting lobby lounge experience will take you to new altitudes. 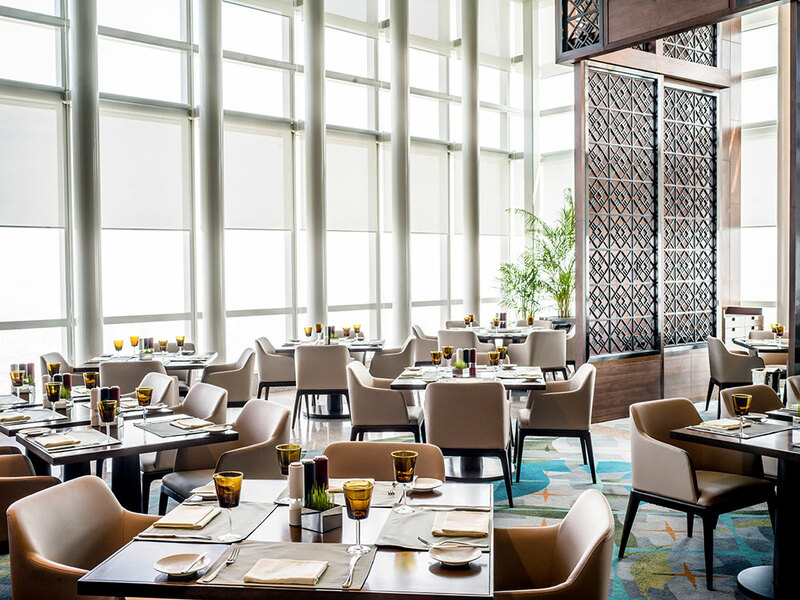 Enjoy its captivating beehive-inspired design and architecture whilst indulging yourself with a mix of all-time classics and locally inspired food choices. The Hive Lounge is host of a captivating afternoon tea and inspirational beverage selections. Open daily from 07:00 to midnight.